Check back soon for the great events we have planned to showcase our available pets!! Come on out to the Dungannon Agricultural Hall on Thursday, June 1 to help support the Lucknow Adoptapet Pet Rescue. 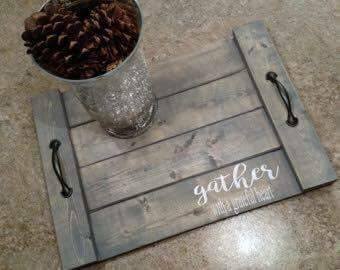 Create a beautiful rustic serving tray just in time for Summer entertaining. Size is 10.5" wide x 17.5" long. Tray colour options: Black, Brown and Cream. Text options are: Gather, Enjoy and Family. Cost is $45.00 per person, $10 from each will be donated to help pay for vetting and expenses of the animals at Lucknow Adoptapet Pet Rescue. Please info and to register - by sending us a private message with your name, tray colour and text choice. Cash bar and food available by the Ag Hall.